STC support from Australia’s Small-scale Renewable Energy Scheme will decrease next year, raising the solar panel installations cost across the nation. The scheme awards a number of small-scale technology certificates (STCs) to households and businesses that install solar panels. The size of the solar power system determines the number of STCs for the system. The dollar value of these STCs is discounted from the upfront cost of the installation. At the moment, this can amount to thousands of dollars. Supply and demand determines the price of the STC. The cost of solar panel installations will increase from January 2019. However, Federal Energy Minister Angus Taylor recently confirmed the scheme will be phased out over the next twelve years. It will cease issuing STCs altogether in 2030. Australia’s solar boom is largely the result of the substantial support the scheme offers. How do STCs affect the cost of rooftop solar? From now on, the number of STCs awarded will decrease each year. The following example shows how much more customers will pay for a rooftop system. Until 1 January 2019, a 5.3 kW solar panel system installed in Darwin attracts 105 STCs. In 2019, the same system will attract 97 STCs. Five years from now that figure will be 65; ten years from now, 24. By 2030, the number will be zero. Each STC has a dollar value set by the market. This varies due to supply and demand. For this example, let’s say the value is $35, although it can be as high as $40. If we multiply $35 by 105 – the number of STCs a 5.3 kW system attracts in Darwin in 2018 – we get $3,675. This is deducted from the up front cost of installation. But five years from now, when the same system earns only 65 STCs, the discount will be $2,275. It will then fall each year until it reaches zero in 2030. This same situation applies whether you live in Darwin, Melbourne, Sydney or anywhere else in Australia. It means the sooner you install rooftop solar, the less you pay. Various states also offer financial support for rooftop solar installations. The Victorian Solar Homes rebate will cover $2,225 of the solar system’s cost for eligible households. If re-elected this month, the Andrews Labor Government promises to expand the program to 650,000 homes from July 2019. The Victorian government recently expanded the scheme to renters. Renters will make a 25 per cent contribution toward the cost of installation through a small levy on rent spread over four years. The government and the landlord cover the rest. The South Australian Home Battery Scheme offers a financial helping hand to add a battery to your system. The size of the battery installed determines the subsidy available. 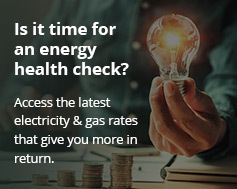 Up north, the Queensland no interest loans scheme enables households and small businesses to take control of their own electricity consumption. Visit our solar bulk buy and community solar directory for advice and support in your council area.